We represent people throughout the Orlando and Central Florida area in divorce or paternity cases involving parenting plans. If you are involved in a divorce or paternity case, call us today to speak with an experienced Orlando divorce attorney and paternity lawyer. At the Wilson Law Firm, we work to protect your interests and to assist you in resolving your situation in an effective and efficient manner. The Court must develop a parenting plan when there are minor children involved in a divorce or paternity action. Some of the aspects of a parenting plan involve parental responsibility, time sharing, access to records, and school zone district. In most cases, parental responsibility will be shared by both parents. This means that the parents will discuss all of the major decisions regarding the welfare of the child. In certain cases the Court may grant to one party the ultimate responsibility over specific aspects of the child’s welfare or may divide those responsibilities between the parties based on the best interests of the child. Areas of responsibility may include education, health care, and any other responsibilities that the Court finds unique to a particular family. If the parties cannot come to an agreement regarding a major issue, the Court will decide it for them. 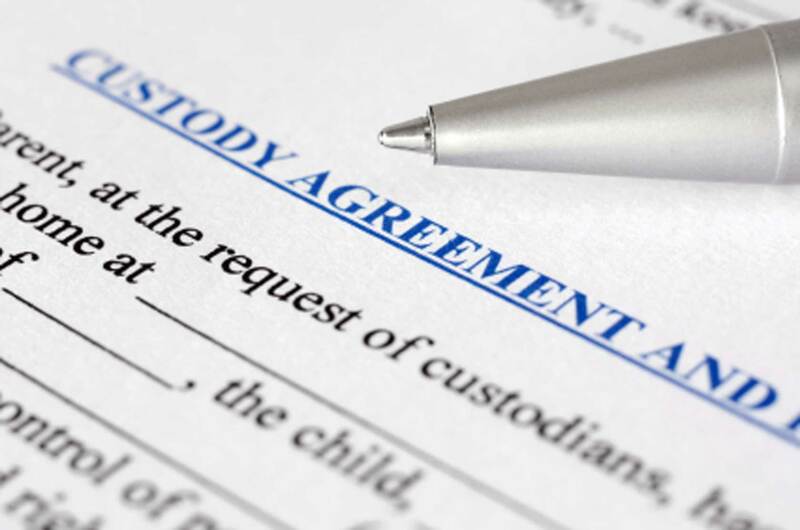 If the Court determines that shared parental responsibility would be detrimental to the child, it may order sole parental responsibility and make such arrangements for time-sharing as specified in the parenting plan as will best protect the child or abused spouse from further harm. Time sharing involves the scheduled days the child will be with each parent. Depending on the best interest of the child the time sharing schedule can vary considerably due to the unique factors involved in every case. It is the public policy of Florida to assure that each minor child has frequent and continuing contact with both parents after the parents separate or the marriage of the parties is dissolved and to encourage parents to share the rights and responsibilities, and joys, of childrearing. Access to records and information pertaining to a minor child, including but not limited to, medical, dental, and school records, may not be denied to either parent. These rights apply to either parent unless a Court order specifically revokes them, including any restrictions on these rights as provided in a domestic violence injunction. This is an essential part of the parenting plan and can have drastic effects should one party later decide to move further away from the other party. 1) The demonstrated capacity and disposition of each parent to facilitate and encourage a close and continuing parent-child relationship, to honor the time-sharing schedule, and to be reasonable when changes are required. 2) The anticipated division of parental responsibilities after the litigation, including the extent to which parental responsibilities will be delegated to third parties. 3) The demonstrated capacity and disposition of each parent to determine, consider, and act upon the needs of the child as opposed to the needs or desires of the parent. 4) The length of time the child has lived in a stable, satisfactory environment and the desirability of maintaining continuity. 5) The geographic viability of the parenting plan, with special attention paid to the needs of school-age children and the amount of time to be spent traveling to effectuate the parenting plan. This factor does not create a presumption for or against relocation of either parent with a child. 6) The moral fitness of the parents. 7) The mental and physical health of the parents. 8) The home, school, and community record of the child. 9) The reasonable preference of the child, if the Court deems the child to be of sufficient intelligence, understanding, and experience to express a preference. 10) The demonstrated knowledge, capacity, and disposition of each parent to be informed of the circumstances of the minor child, including, but not limited to, the child’s friends, teachers, medical care providers, daily activities, and favorite things. 11) The demonstrated capacity and disposition of each parent to provide a consistent routine for the child, such as discipline, and daily schedules for homework, meals, and bedtime. 12) The demonstrated capacity of each parent to communicate with and keep the other parent informed of issues and activities regarding the minor child, and the willingness of each parent to adopt a unified front on all major issues when dealing with the child. 13) Evidence of domestic violence, sexual violence, child abuse, child abandonment, or child neglect, regardless of whether a prior or pending action relating to those issues has been brought. If the court accepts evidence of prior or pending actions regarding domestic violence, sexual violence, child abuse, child abandonment, or child neglect, the court must specifically acknowledge in writing that such evidence was considered when evaluating the best interests of the child. 14) Evidence that either parent has knowingly provided false information to the Court regarding any prior or pending action regarding domestic violence, sexual violence, child abuse, child abandonment, or child neglect. 15) The particular parenting tasks customarily performed by each parent and the division of parental responsibilities before the institution of litigation and during the pending litigation, including the extent to which parenting responsibilities were undertaken by third parties. 16) The demonstrated capacity and disposition of each parent to participate and be involved in the child’s school and extracurricular activities. 17) The demonstrated capacity and disposition of each parent to maintain an environment for the child which is free from substance abuse. 18) The capacity and disposition of each parent to protect the child from the ongoing litigation as demonstrated by not discussing the litigation with the child, not sharing documents or electronic media related to the litigation with the child, and refraining from disparaging comments about the other parent to the child. 19) The developmental stages and needs of the child and the demonstrated capacity and disposition of each parent to meet the child’s developmental needs. 20) Any other factor that is relevant to the determination of a specific parenting plan, including the time-sharing schedule. The Court has jurisdiction to approve, grant, or modify time sharing, notwithstanding that the child is not physically present in this state at the time of filing any proceeding, if it appears to the Court that the child was removed from this state for the primary purpose of removing the child from the jurisdiction of the Court in an attempt to avoid the Court’s approval and creation of a time sharing plan. Florida Statute 61.13 – Support of children; parenting and time-sharing; powers of court. Florida Statute 61.13001 – Parental relocation with a child. Florida Statute 61.20 – Social investigation and recommendations regarding a parenting plan. Florida Statute 61.21 – Parenting course authorized; fees; required attendance authorized; contempt. Florida Statute 61.401 – Appointment of guardian ad litem. Attorney Joel Wilson has over 15 years of experience and has handled thousands of cases during his legal career. He understands both the legal and emotional issues involved in divorce and family law cases and is an experienced trial attorney. While most divorce cases do not result in a trial, there are some that will, and when a case cannot be resolved except by trial, you will want an experienced trial attorney to present your side of the case in a persuasive and effective manner. In many cases, people who fail to seek legal representation later discover that they have made critical mistakes, due to a misunderstanding of the law and how it relates to their unique situation, which have devastating consequences in regards to alimony, their children or financial situation. At the Wilson Law Firm, we work to protect your interests and to assist you in resolving your situation in an effective and efficient manner. 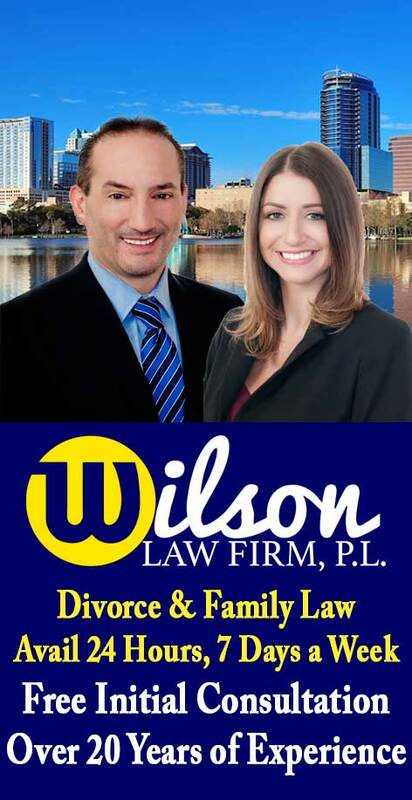 Parenting Plans and Divorce – The Wilson Law Firm provides a free initial consultation with an Orlando divorce attorney and Orange County Florida family law lawyer. Call us today to speak with an experienced Orlando divorce attorney about the legal process and your rights.